The concept is the same as the regular Super Bowl Squares, but each square will now have two numbers in the left hand column(NFC), which gives each square two chances to match the NFC score. 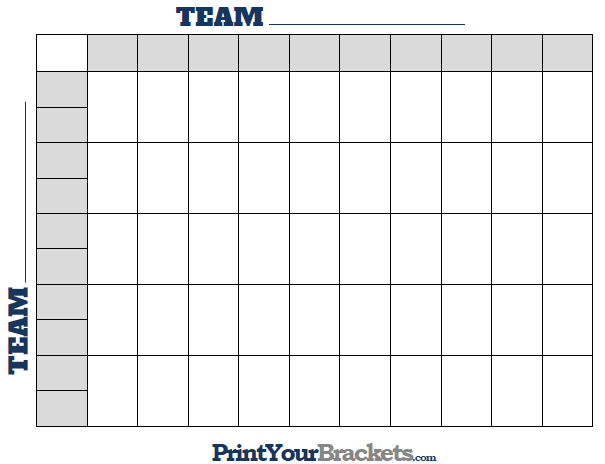 Our Super Bowl Squares Rules article goes a little more in depth. Take the grid around to family, friends, and co-workers, having each participant place their name in the square or squares of their choice. 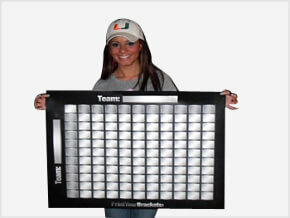 If you think you will be unable to fill the entire grid check out our 25 square grid or 100 square grid. Example: At the end of the first quarter the AFC team has 17 and the NFC team has 14. Go to the AFC top row of numbers and find thenumber 7(last digit of 17) then go to the NFC left column of numbers and find the number 4(last digit of 14) find where these two numbers intersect on the grid and the name in that square wins the first quarter. You will follow this step for all four quarters. Be sure to discuss what is going to be done in case of an overtime, some people will just ignore the overtime score, some people will substitute the overtime score for the 4th quarter, and others will declare 5 winners. Once again to avoid problems make sure all of this is discussed before the game begins.